Explore the Latest Enhancements to Secure SD-WAN that Come with FortiOS 6.0: Better Visibility, Performance, and Monitoring. 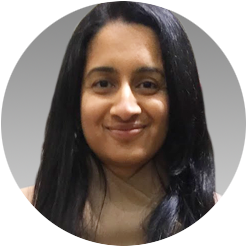 Shalini Sundaram Manager, Product Marketing With an expansive background and knowledge of network security, Shalini has experience working on next generation firewalls, advanced threat protection and security analytics. Core enablers of business growth such as SaaS apps present both opportunities and challenges. Discover how Secure SD-WAN capabilities in FortiOS 6.0 realize the promises of these new technologies by transforming the security paradigm.